Hear that low buzzing noise? 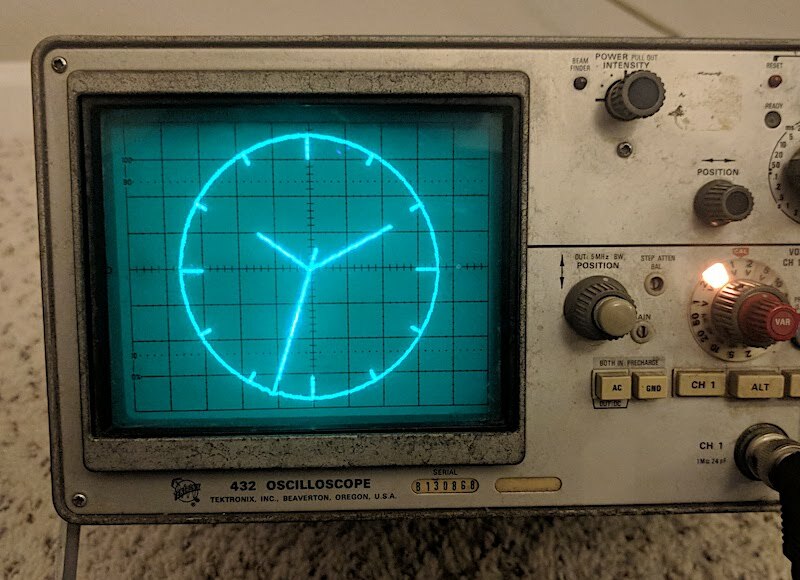 Plug your computer's audio output into an oscilloscope (right = X, left = Y). You should see an analog clock displaying the current time.